The beauty of luxury furniture is that even a single piece can completely transform the look and feel of a room. It’s true! 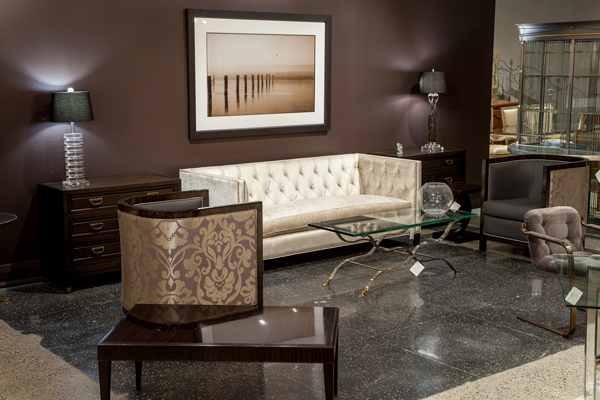 Come see our showroom displays for ideas and one-of-a-kind pieces. Our experienced staff will be happy to help you out. When looking for new decorating ideas, here’s a small piece of advice that could save you time and money. Find display furniture e.g. luxury cabinets, that will become the focal point of your design. Then rearrange some of the existing items and accessories around it. You will be amazed at the difference it will make. 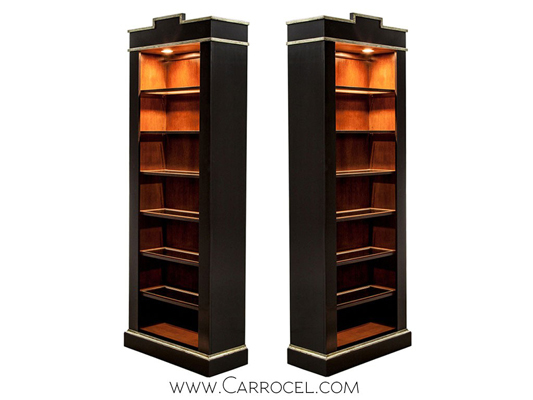 The Carrocel store in Toronto has luxury furniture from around the world for you to choose from. See what suits your style! Clear out the room or move the furniture to the sides: This will give you a better idea of room dimensions and prevent existing décor from influencing fresh ideas. Select a focal point: It’s that one space which commands attention in the room and the perfect spot to display your luxury furniture. It may be a large bare wall, space under the windows or television set, by the fireplace or in the centre of the room. 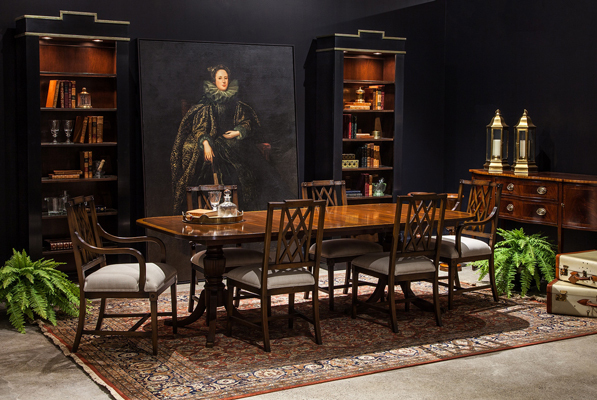 Select your luxury furniture carefully: Take the time to look around for that one special item that will make your home stand out from the rest. Vintage or modern, whatever you choose, it will set the tone for your room’s décor. Balance large and small elements: You want a few large pieces as well as some smaller pieces to vary the look and add interest. Take care not to overcrowd the room. Remember to keep the attention on your luxury cabinets or whatever display furniture you may choose. When placing furniture, consider convenience and ease-of-use: For instance, think about arm and leg length when positioning your coffee table and leave enough space to walk between side chairs. 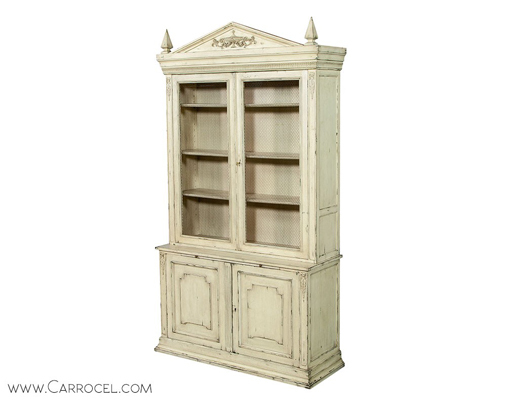 A fine furniture store like Carrocel has a range of styles to suit every taste. 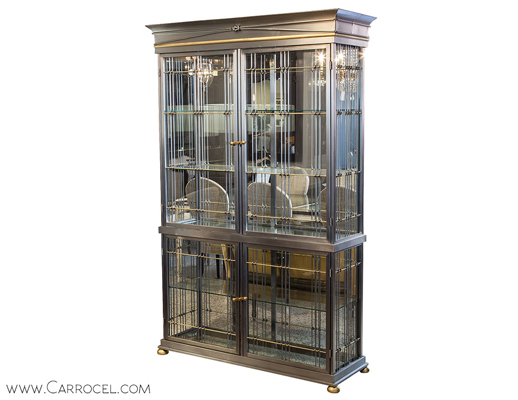 Our luxury cabinets grace many homes with elegance and style. Take a look at our exquisite collection. EJ Victor Bookcases – Design with StyleFinished by our master craftsmen in a hand rubbed multi-step process, satin black and beautifully highlighted in our custom distressed silver leaf accent, these luxury cabinets have a unique feel and look. Moreover, they are perfect for any space—living room, dining room, the parlour or your home office. Brushed Steel Brass Display Cabinets – Decorate with Elegance Solid brushed chrome moldings around top, bottom and down each side of the central front door are accented by a stylish brass trim. Internal lighting that shines through four floating glass shelves creates a picture of elegance. For a wide range of unique and genuine luxury furniture, please visit our showroom today or call us at 416-999-2525 for more information. Luxury furniture will give really an outstanding appearance to home and a kind of attraction. Nice blog, brief explanation of decorating home with absolute furniture, not only to increase the brightness but also to set up in required space. 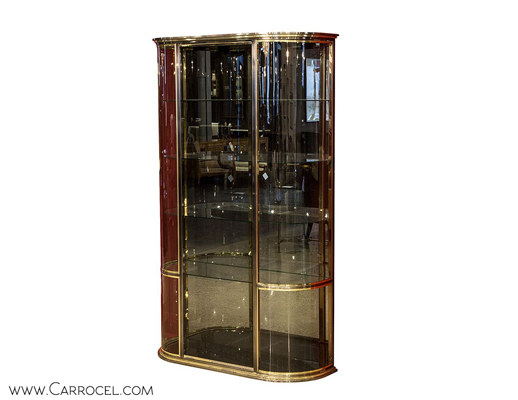 Wow, it’s interesting that you’ve featured these different stunning luxury furniture. I’ve been looking for this for quite some time because I want to add lovely furniture after our ongoing home renovation. It really helped when you said that balancing large and small elements will make a perfect setup! Awesome! Thank you so much for sharing. I really liked your ideas about home decor. Your ideas are really very unique and attractive. I really liked your Ideas for Luxury Furniture decor, I was really not aware of such furniture. Thank you so much once again for sharing such unique ideas with us. Keep Posting.